The deadline to purchase your ticket is next Wednesday (January 23rd)! Don’t miss out! See more details about the receptions here. Tickets can be purchased with cash or check at City Hall on the second level. For questions, please contact Rita at 707-933-2218. 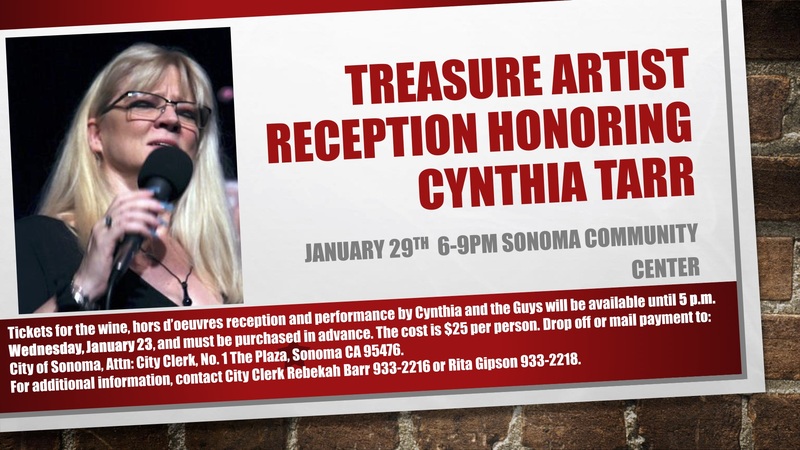 The evening reception honoring Cynthia Tarr will be held at the Sonoma Community Center. $25 per person ticket price includes wine, hors d’oeuvres and a performance by Cynthia’s band the Quixotics.